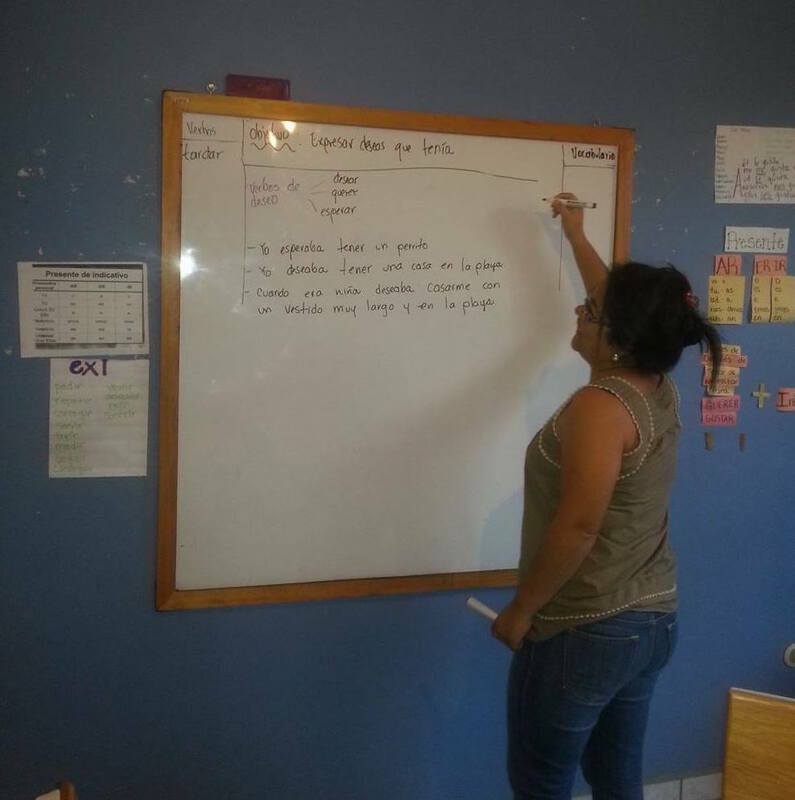 This morning, as I was reviewing all the learning objectives we’ve covered over the past 10 weeks in language school, I came across a powerful memory from a few weeks ago when Marta wrote the day’s objective at the top of the whiteboard and then sat down across from me. 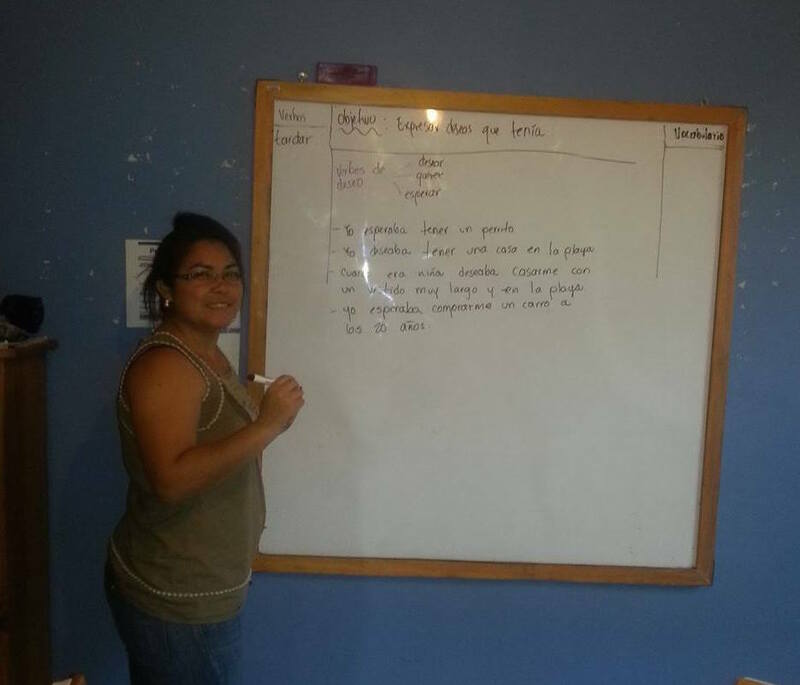 I sat there staring at the whiteboard with hopes and dreams swirling around in my heart and mind, while Marta made a list of verbs. When she finished, the two of us got busy turning that list of verbs into conversation. I’m pretty sure I cried when I realized I could actually carry on a conversation in Spanish about these hopes and dreams that God has given us. Deseamos…We wish that every child could experience the love, care, and protection of a safe and nurturing family. No child should have to endure the pain and suffering that accompanies abuse, neglect, trauma, or abandonment. No child should grow up without a family. As foster and adoptive parents, we’ve witnessed time and time again what happens to children when they’re abused, neglected, traumatized, and abandoned. We’ve seen the effects of institutionalization and how even the best of orphanages cannot replace the families they lost. We’ve also seen how being a part of a family can transform the lives of children from hard places. Children belong in families. While we mourn with our children the loss of their first families, the lives they had before us, the things that happened that couldn’t be fixed, and all that left them vulnerable and alone, we also celebrate with them the beauty of adoption and the new hope that we all have together as a family. Esperamos…We hope for healing and bright futures for the children in our home and the children we have the opportunity to serve in Honduras. The Lord has given us cause to hope. He’s equipped us, provided us with others who encourage us, and surrounded us with those who edify and strengthen us in our work. Queremos…We want to make a difference in the lives of children who have been deprived of the love, care, and protection that they need and deserve. This is why we are working alongside Legacy of Hope Foundation to provide holistic solutions to orphan care in Honduras. 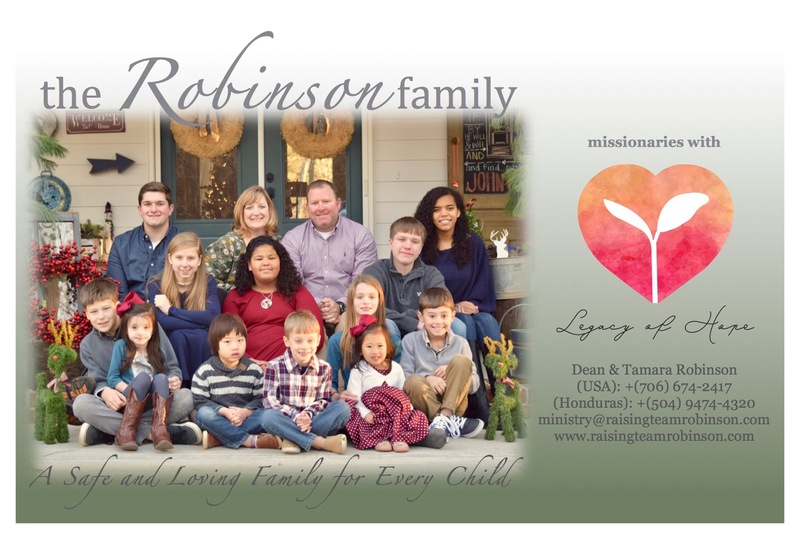 Their vision (Defending Children, Preserving Families, Restoring Hope) aligns with the vision that God gave our family as we prayed and dreamed about ministry in Honduras: A safe and loving family for every child. I’ve posted a copy of our new prayer card below. If you don’t mind, please print it out and stick it up on your fridge. 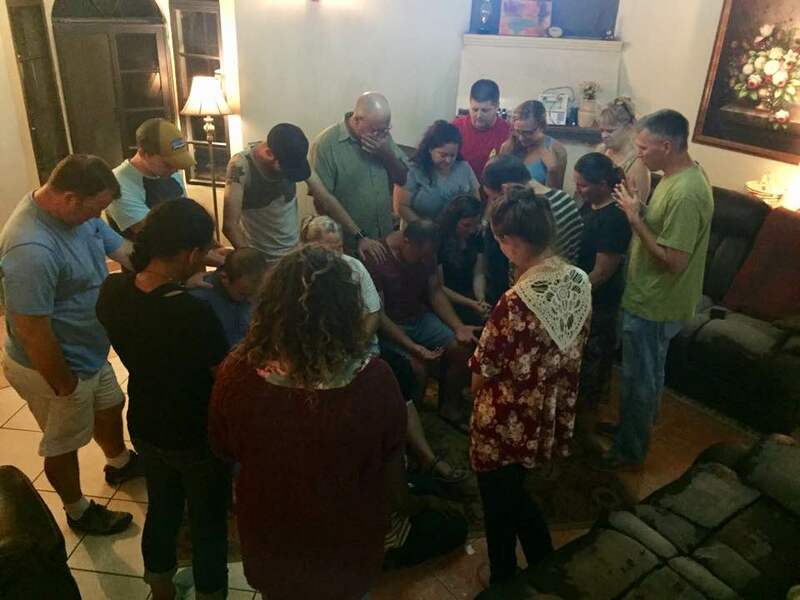 Agradecemos…We thank the many who have prayed for us, encouraged us, and given financially to our work in Honduras. Not a day goes by that we do not recognize how God supplies our every need through those who are moved to come alongside us and make it possible for us to be here. 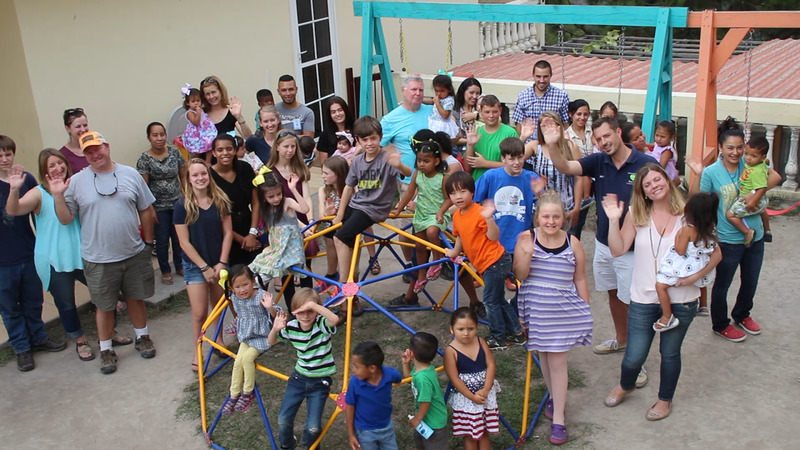 Because of the generosity of many, we are able to live here and be a part of the work being done to transform the lives of orphaned, abandoned, and vulnerable children and their families, giving them the best chance of a bright future.